Only a few days left to go before Christmas!!! I can’t believe it’s almost here! And I can’t believe we’ll be off somewhere to celebrate Noche Buena and Christmas Day for the first time which is why the past few days/weeks, I’ve been running around like a headless chicken trying to accomplish a lot of things before we officially celebrate our holiday vacation. So here’s a quick last minute gift guide if you’re still thinking of what to give this holiday season! Our one and only Christmas decor this year. 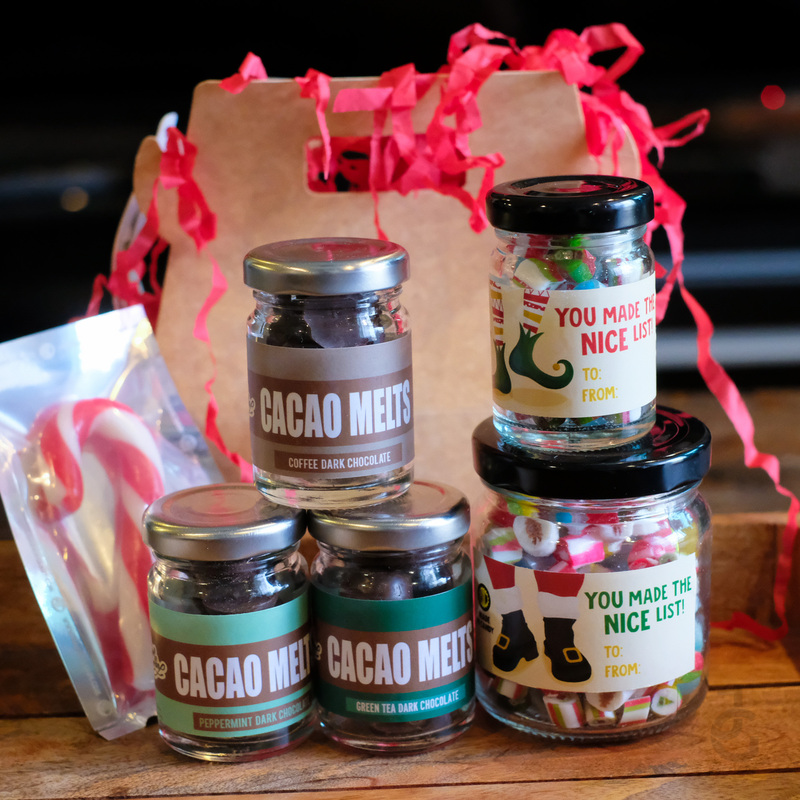 Thank you so much Lala & Sarah or Booths Republic for sending our Christmas stockings! 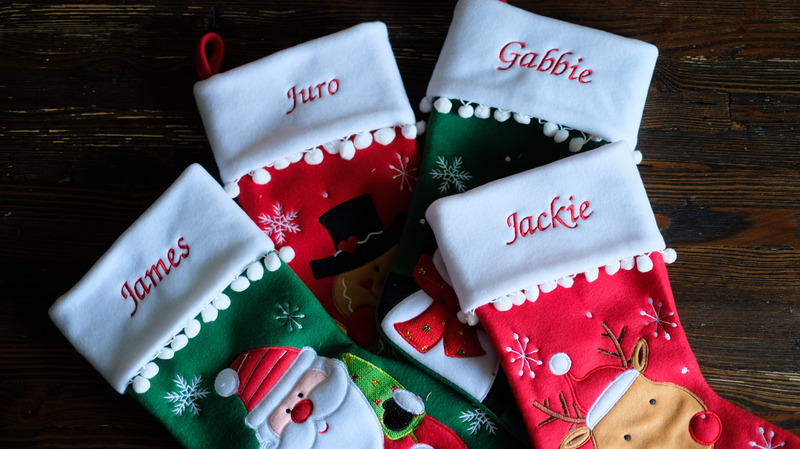 You can also order other personalized items form stickers, stamps, to luggage tag and TSA luggage straps and other items that are perfect to give to friends and family! You can also find them at The Park store East Wing of Shanrgila Mall, Mandaluyong City. School of Satchel is a homegrown Filipino brand that is locally made. They products are made of 100% genuine leather full and top grain with excellent craftsmanship by local artisans. They have bags for women as well as for men. 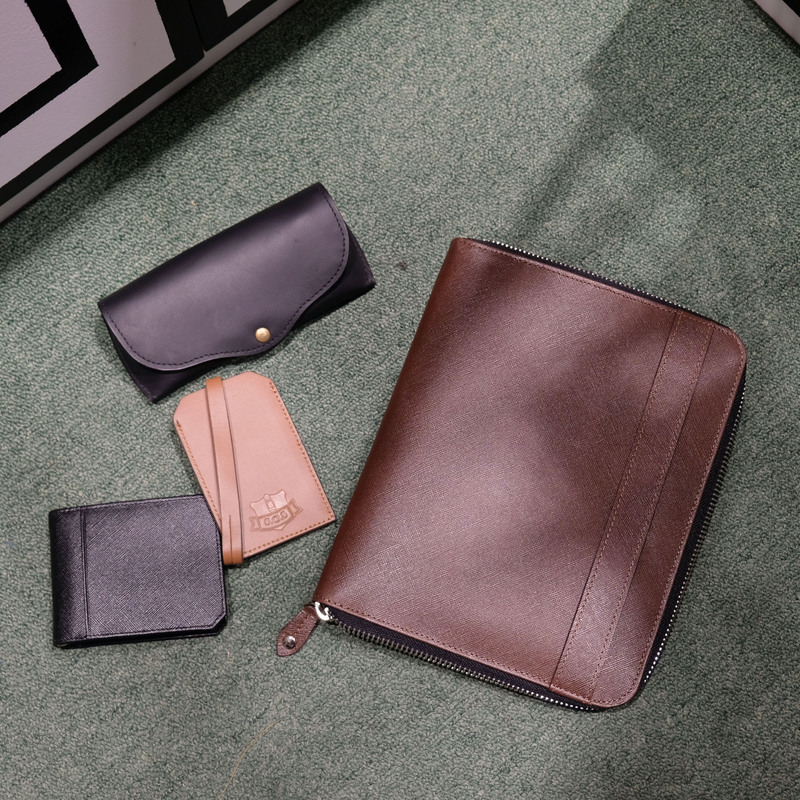 Other small leathers such as bag tags, wallets, eyewear case and other items are also available. 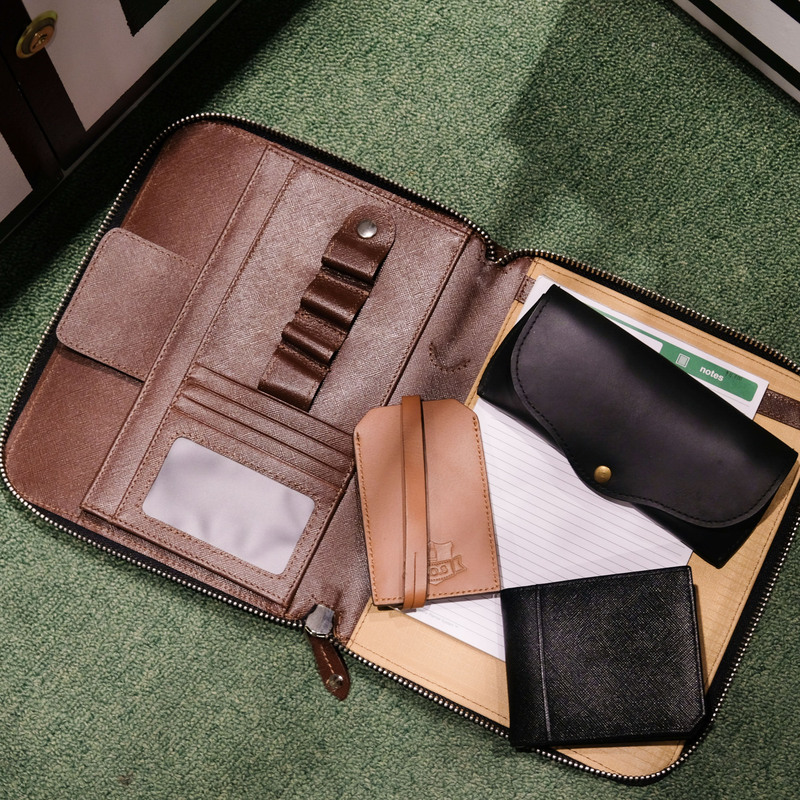 That leather portfolio is the perfect gift for dad, your boss or even for yourself! 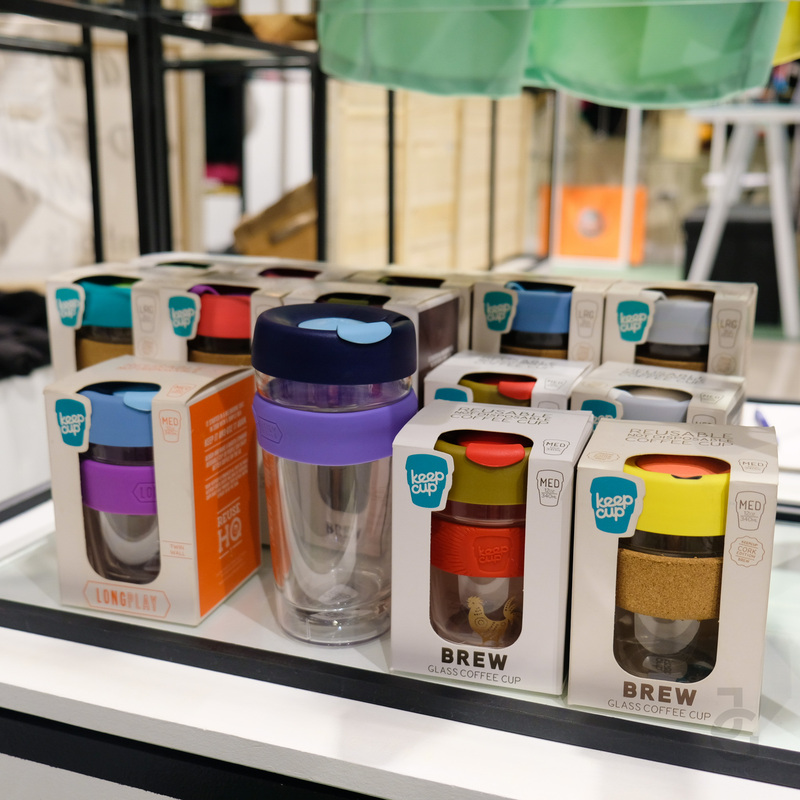 Meanwhile for those who love to drink coffee or any other beverage Keep Cup is for you! 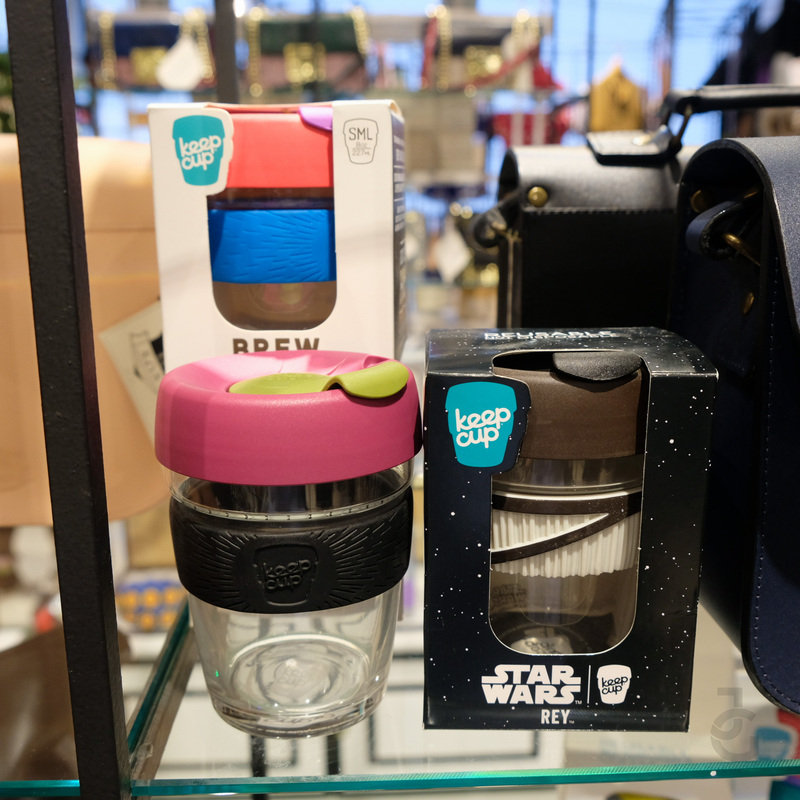 Reusable cup that’s stylish and handy and it comes in different sizes and colors! Gifting a pen is always practical. It’s used by almost everyone. Tombow has an assortment of pens from specialty pens to marking and design pen. This particular Tombow pen comes in a lovely metal case that’s ready to gift this holiday. Available at select National Bookstore. One can never have too many pouches and organizers which is why more often than not, we like giving one for Christmas. Rissa x National collaboration is the prefect one to give! 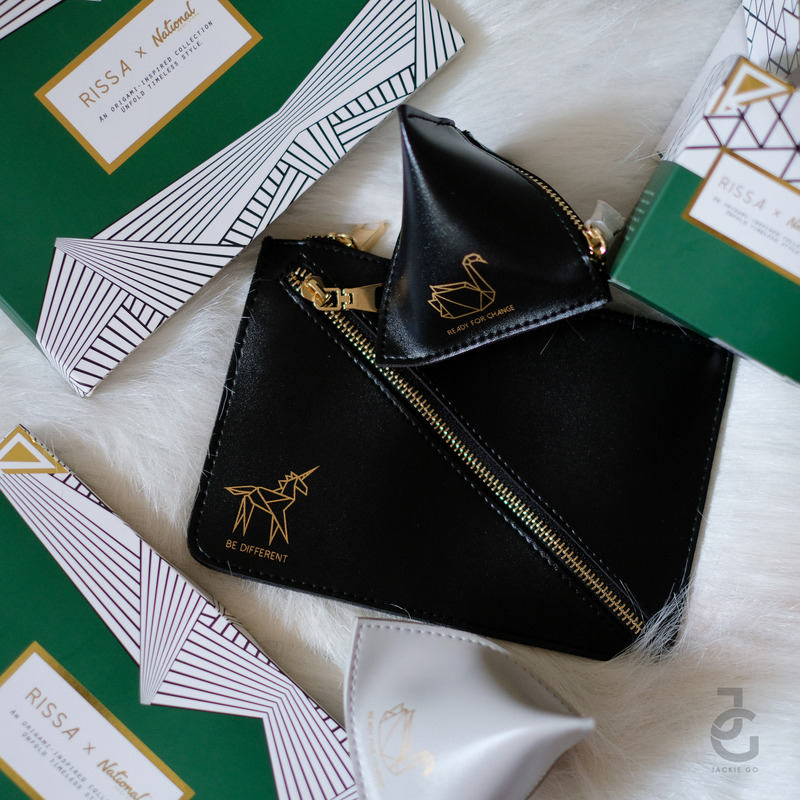 I got a few to give to my friends because it’s so stylish and the packaging is chic too! Available at Digital Walker and Beyond The Box. Perfect to give to those who are driving. 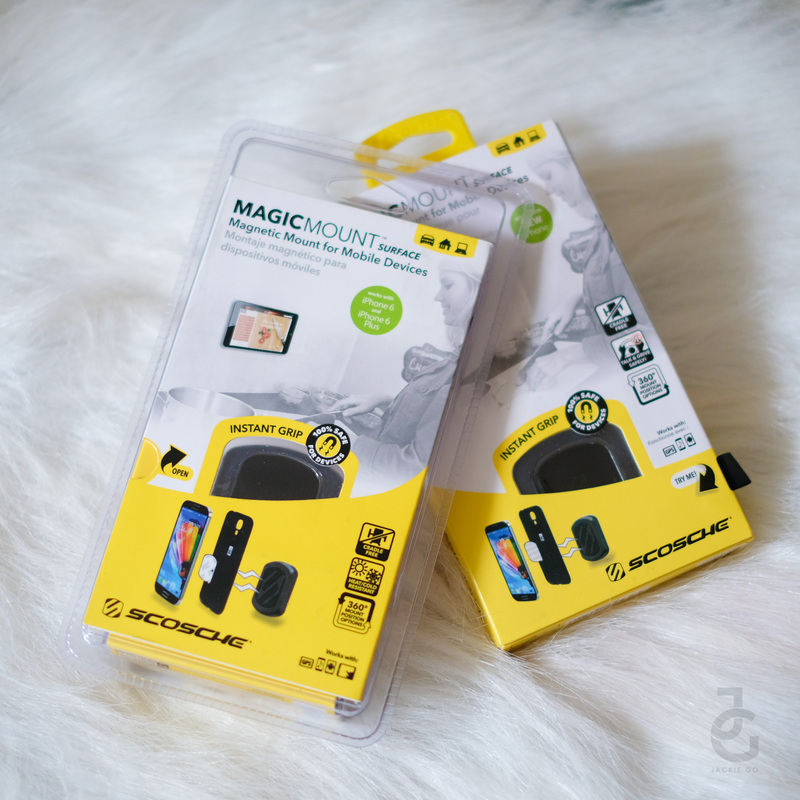 These Scosche Magic Mount is one practical gift to give. Available at Chris Sports and Toby’s. 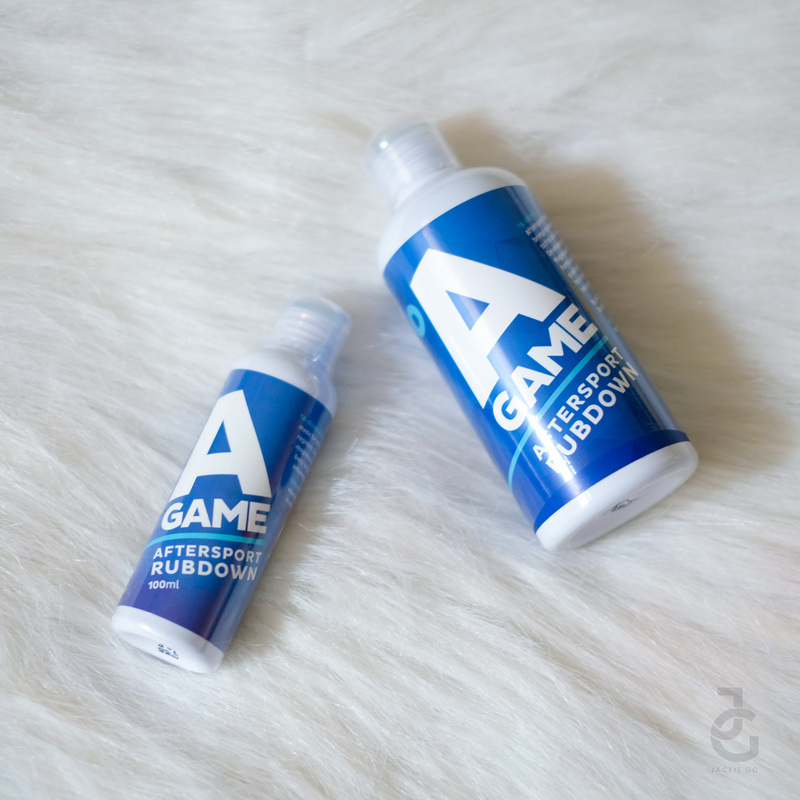 For your friend who is active, whether he or she goes to the gym or does a sport, this A Game afersport spray is a good stocking stuffer! It immediately relieves muscle soreness and prevents DOMS (delayed onset muscle soreness). Locally made, ethically handcrafted accessories by MadeFinas for that kikay friend who loves making a statement! Available at all Jo Malone stores. Aaaah Jo Malone! This lovely mini set is bound to make any girl shriek in delight. They also have different other holiday sets to choose from. Happy Skin + Skincare, need I say more? These newly released Sakura Bloom Brightening Peeling Gel and Hydrating Skin Booster is for your skin loving friends. New look same great products! 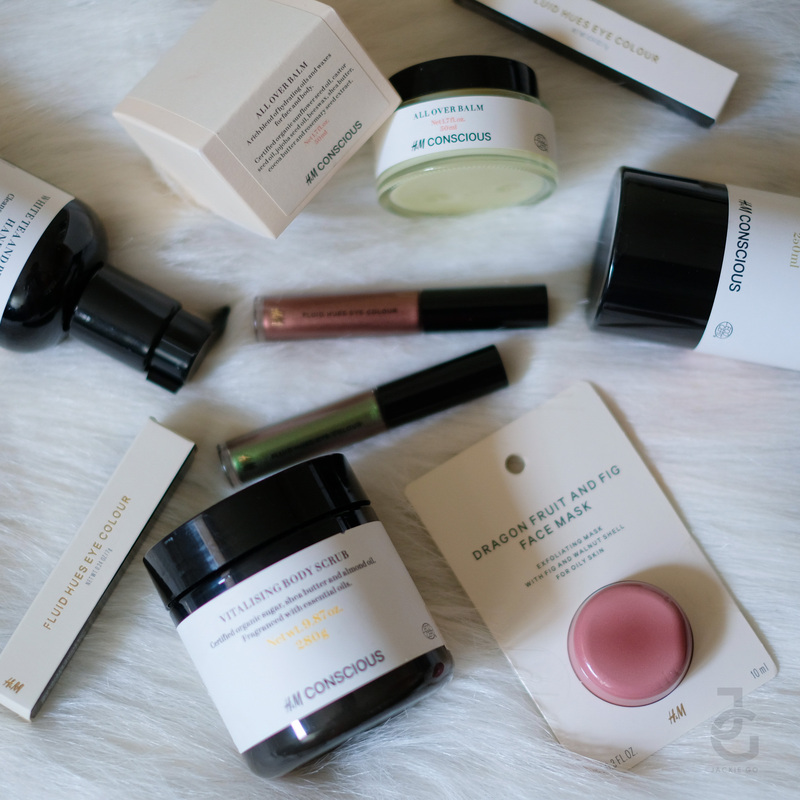 Banilla Co have revamped their packaging and has added a few new products to boot! 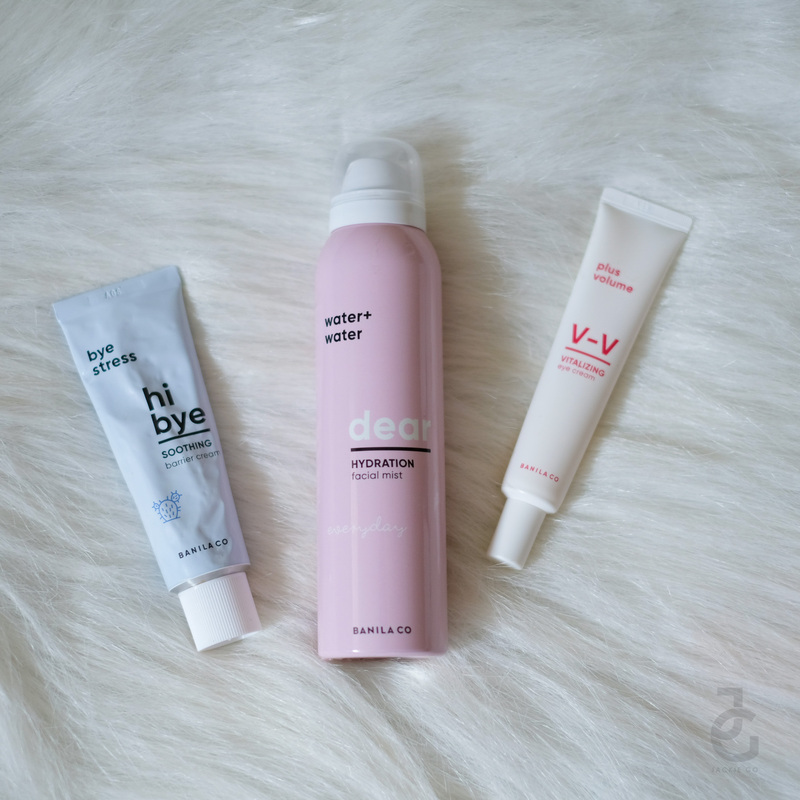 I still love their best seller Clean It Zero but have added these three to my skin care arsenal. For your friends who can’t get enough Korean skincare, get them these for Kris Kringle and they’ll surely love you even more! H&M Conscious line is not limited to the powerhouse’s apparel but is also part of H&M Beauty. From face masks to eye liner, and even make up & hair accessories too! Another lovely stocking stuffer! 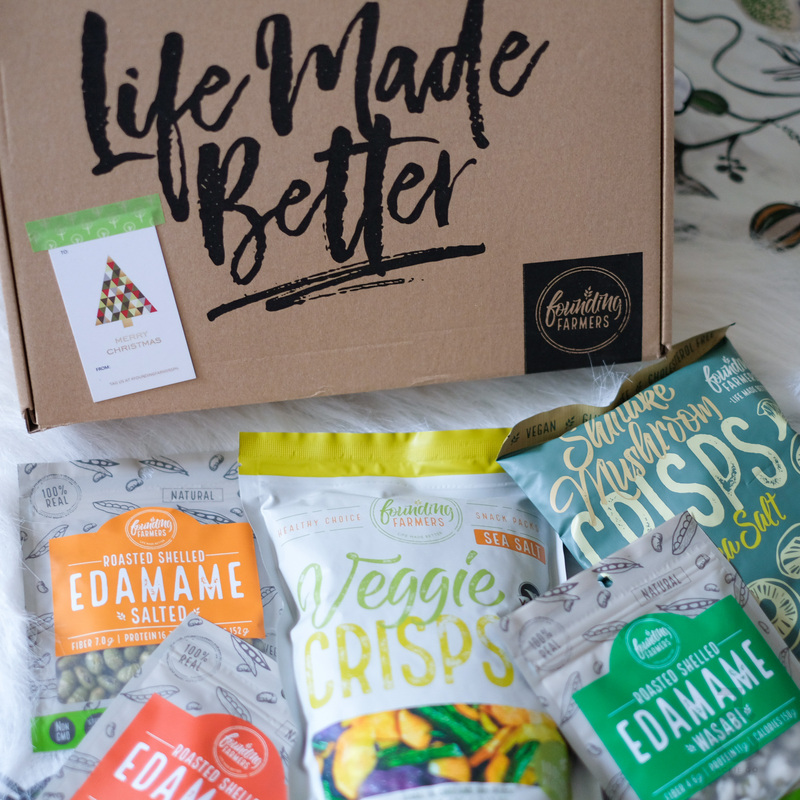 I’ve written bout these healthy snacks from Founding Farmers and I it deserves another spot on my blog because it’s something I really love. A box of 10 pieces of assorted Founding Farmers products is available to gift this Christmas for only Php 1,000. Tea sets are always a good gift idea! 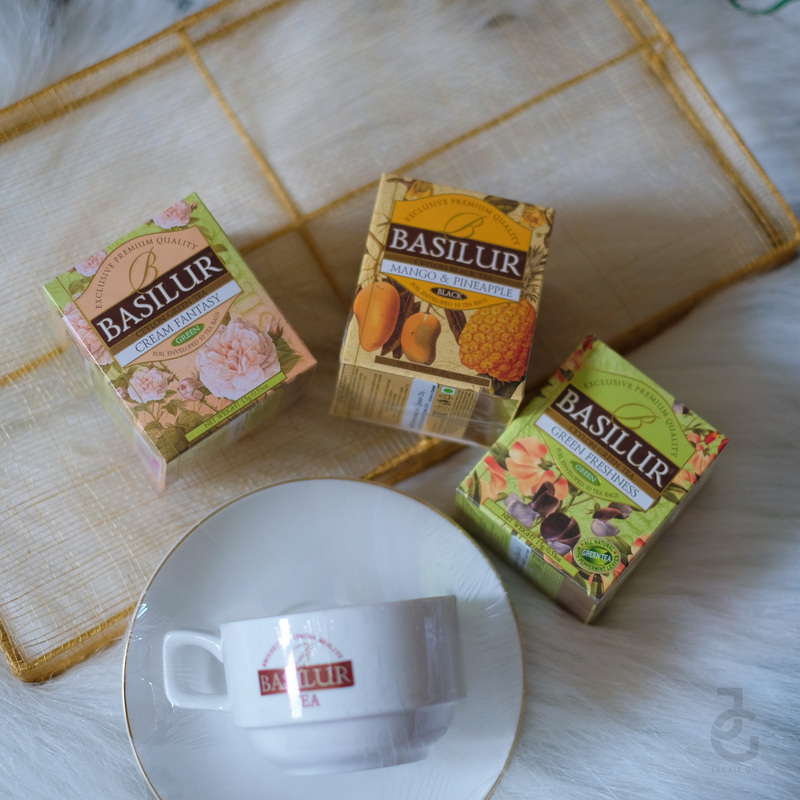 We love Basilur Tea. They have such nicely presented tea sets that are perfect to give to your Tita or Tito or even friend who loves drinking tea! Another yummy and healthy snacks to give is from Honesty Crop. 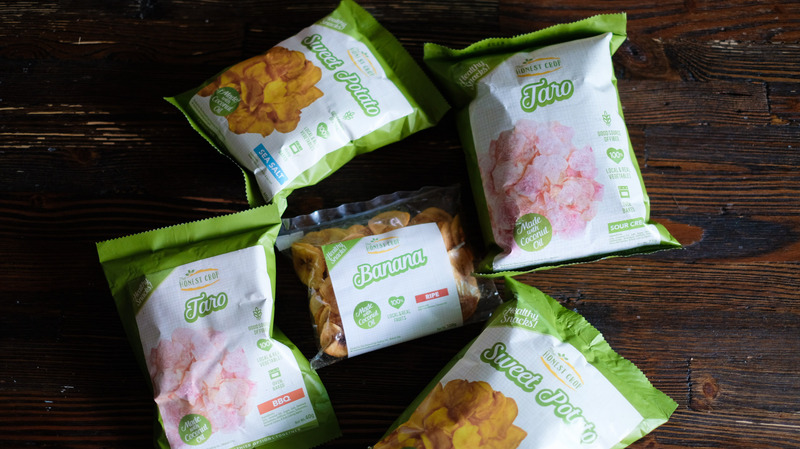 They’ve got sweet potato, taro, and banana chips!